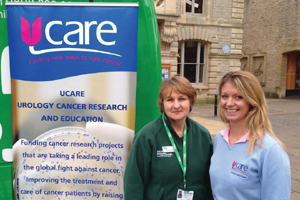 The UCARE Awareness Team work in partnership with existing local and national organisations to provide information and education about urological cancers to both the public and medical professionals. We run awareness campaigns to work towards closing the gap in cancer survival rates between the UK and its European counterparts and provide education and information about prevention and healthy living choices. We also support cancer patients, their families and carers and offer them advice with the many practical and emotional questions that arise as they go through their cancer journey. Early diagnosis is key to successful treatments, but awareness of the symptoms is woefully low. If you make healthful choices then your risk of getting cancer will be reduced. We would like to thank The James Tudor Foundation and The Band Trust for helping to fund the team. 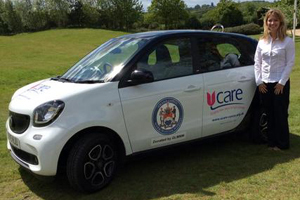 And the Mark Benevolent Fund for funding the UCARE car. Please contact the UCARE office if you are also able to support this project financially. Please contact the Awareness Team for more information about the activities.